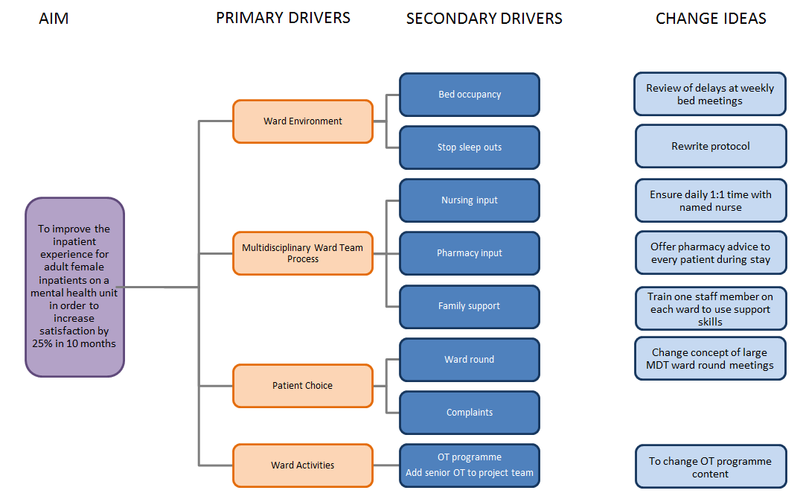 A driver diagram illustrates a ‘theory of change’, that can be used to plan improvement project activities. This technique provides a way of systematically laying out aspects of an improvement project so they can be discussed and agreed on collaboratively by the project team. Teams at ELFT can use Life QI to create their driver diagrams online. These are the ideas that your team would like to test, in order to help move towards the aim. Your driver diagram is your improvement strategy. There is no right or wrong driver diagram – it should represent your team’s understanding of the system you are trying to improve. Your driver diagram will undoubtedly change through your project – as you get to understand your system and processes in more detail. Don Goldmann: How do you use a driver diagram?